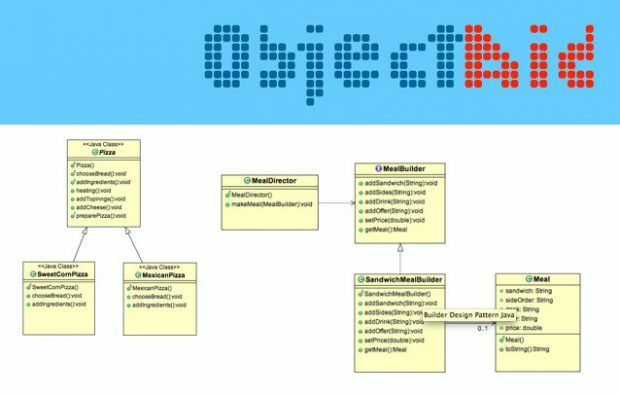 The ObjectAid UML Explorer is a freemium and lightweight tool that helps to visualize and generate Class and sequence diagrams straight from your java code. It is available as a free eclipse plugin in eclipse marketplace. Provides an drag and drop canvas within eclipse IDE to that allows dragging java classes to generate class and sequence diagrams. The licensed version of ObjectAid support much more than the free version. It support additional features like, reverse engineer relationships. Open eclipse and drag the below Install button into workspace. 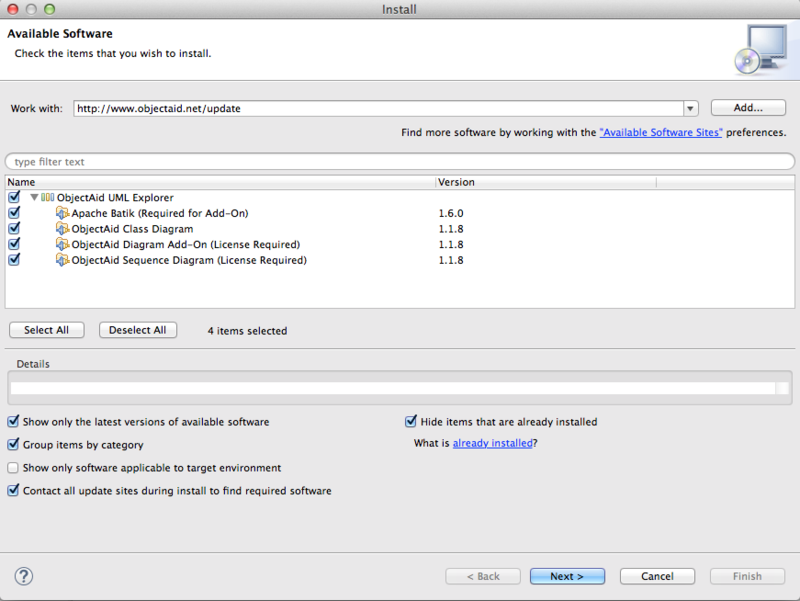 Or alternatively you can follow below steps to install manually from update site. And now proceed with the on screen instructions for installation. Note that it will ask you to restart Eclipse to complet the instruction. To create a new UML class diagram, just click on File | New | Other. 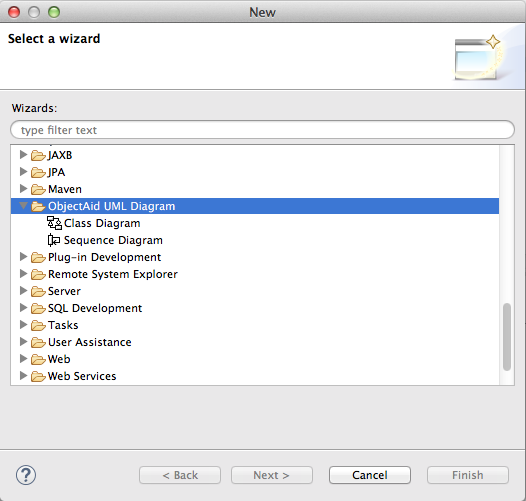 Select ObjectAid UML diagram from the opened wizard. Select Class or Sequence diagram you want to create. This step will provide a canvas for the diagram. Now just drop compiled java classes into the canvas and it will generate the diagram. Right click on the canvas to see various available options.